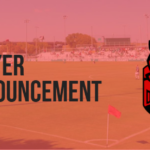 Denton, TX – On Tuesday October 2nd the Denton Diablos named Chad Rakestraw their first head coach in the clubs history. 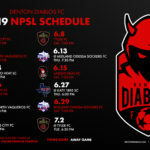 With a rich and storied soccer background in both the D/FW metroplex and in Denton itself, Chad was the perfect choice to help establish the Diablos brand of soccer. Chad’s staff will be rounded out with the addition of three assistant coaches. Ben Clarvis is in his second year (2018-19) as an assistant coach with Quincy’s men’s soccer program and was the assistant coach at FC Cleburne (PDL) in the summer of 2018. In 2016, Clarvis coached for Falls Town FC at the 2000, 2003, 2004 and 2007 boys age groups. He holds an FA Level 2 coaching badge and a USSF C License. He was previously a standout player at Division II Midwestern State in Wichita Falls, Texas, earning NSCAA all-region honors as a defender in 2015 when the Mustangs posted an undefeated regular season. From 2012-15, MSU earned two Sweet Sixteen appearances in the NCAA Tournament. During his collegiate summers, Clarvis was a member of King Warriors (Bluefield, W.Va.) and Midland Sockers (Midland, Texas) of the USL PDL. Prior to enrolling at Midwestern State, Clarvis was an apprentice at Plymouth Argyle FC from 2008-11 in southern England. Clarvis graduated from Midwestern State in 2016 with a bachelor&#39;s degree in business administration and is on course to graduate Quincy University with an MBA in May. Sam Garza will be a player/coach for the Diablos. Sam played college soccer at the University of California-Santa Barbara for two years before being drafted as the 6th overall pick for the San Jose Earthquakes in 2012. Sam brings invaluable experience as a player but will also be a great addition as an assistant to the Diablos staff. Warren is an assistant Coach that holds a USSF A License and NSCAA Goalkeeping License. 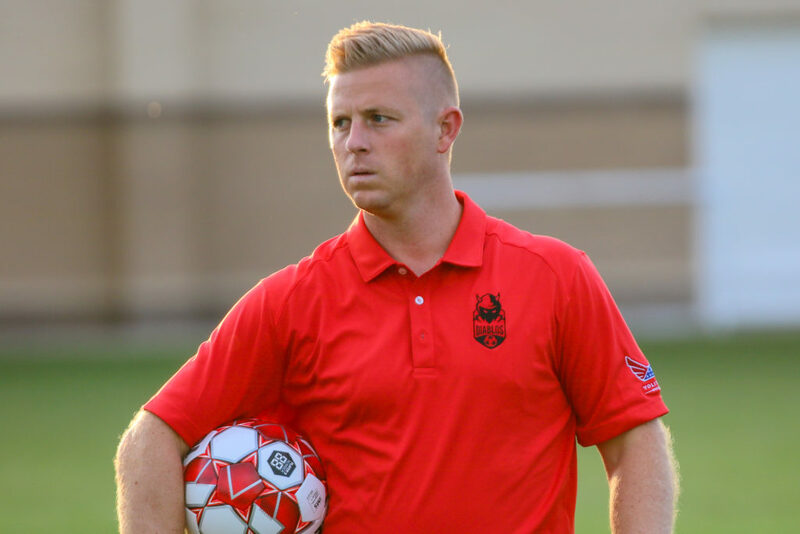 He brings professional coaching experience from his time with the Atlanta Silverbacks, West Michigan Edge – PDL and with multiple College programs.